A high yielding variety, 'Premier' has medium green foliage with leaves up to a foot long. The plant is upright and compact, great for in-garden or container planting. GARDEN HINTS: For earlier harvest, sow seeds indoors in a sunny spot or under plant lights 6 to 8 weeks before outdoor planting date- this works for both the spring and fall! If purchasing plants in the fall, plant upon arrival and harvest before heavy frost hits. 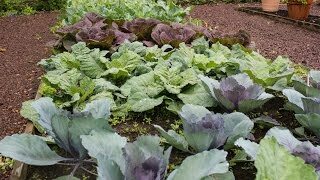 Avoid planting in garden area where cabbage family was grown the year before. Withstands light frost. Kale, Premier is rated 4.0 out of 5 by 4. Rated 5 out of 5 by lflinnj from Easy, hardy, versatile! 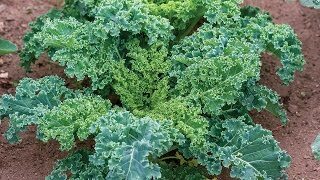 The variety of kale just rocks! I planted some plants in the fall of 2016. It settled in and produced nice foliage very quickly. The greens are less leathery than a lot of other kales. Here in NW NJ, it even wintered over! We were picking in the spring and I still have a few plants in the garden now in July. They are bolting, of course, but when that first started, we cooked the shoots like broccoli rabe. I've been cutting the tops to feed to our chickens and goats. They will be sad when I pull the plants this week. But this is a keeper. Will definitely plant again this fall! Rated 3 out of 5 by MGardenerann from Leaves are prickly! Easy to grow, but leaves are too prickly! Maybe the younger leaves were not? Rated 4 out of 5 by JessBirm from Good growth! I wanted to try a new kale variety. The plants Burpee sent were very healthy. Within the few weeks I started picking kale. While I only have 6 plants I am able to pick enough for dinner for my family of 5 twice a week...so it's a good producer. Taste is good and not at all bitter. Rated 4 out of 5 by Vegetable Lover from I can't wait This is an unusual review, because I haven't tasted this new cultivar yet. The first frost is on the way, so it won't be long. I bought the six plants when they were on sale, and they are growing quickly and looking beautiful. I just know that I am going to be very pleased. Details later.